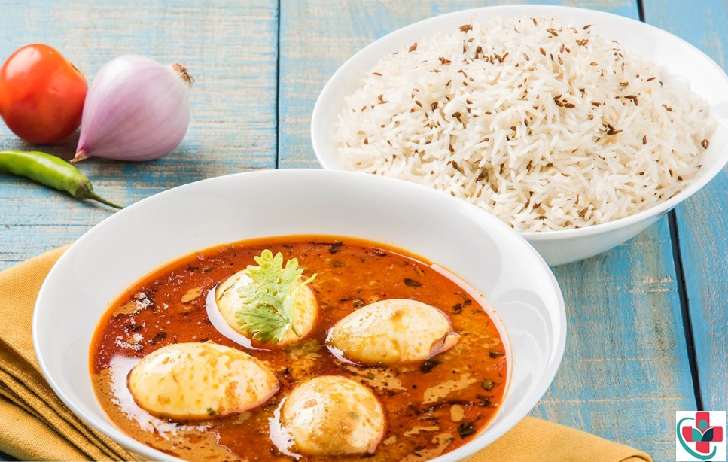 Eggs are a great alternative to meat in stews. This healthy, simple but delicious curry is enough proof! 1. Heat the coconut oil in a large pan, saute the onions until soft, add the garlic and fry for 30 seconds. Add the ginger, turmeric, cumin, curry powder, and tomatoes. Stir and fry for about 2 minutes. 2. Next, add the coconut milk and stir. Bring to a slight boil for 2 minutes. Add the boiled eggs and gently shake the pan to coat them with the sauce. Season with salt and pepper. Cover the pot and simmer for 10 minutes over low heat. 3. Garnish with coriander leaves and serve with steamed rice of your choice.